It’s been already around 4 months that Facebook has introduced changes to its pages and timeline. And if you search the net, thousands of articles are there to help you finding the basic things required to start your Brand Page, despite the fact that FB already has its own resources like Tour, Help Centre, Learning Video, Page Product Guide. C. Consider something from your brand that appeals at large. B. Content: Consider your brand logo. The top portion just below the cover image is now the space for About, page Photos, Apps and Likes counter. 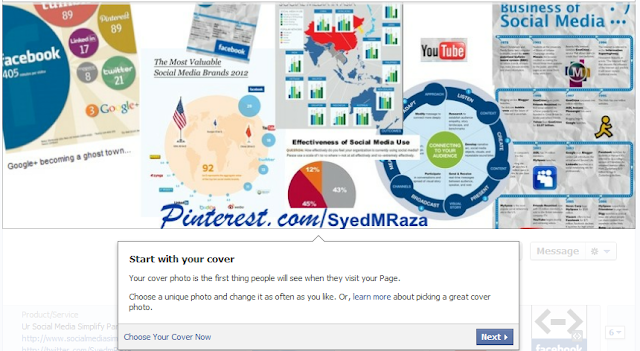 With the introduction of timeline for pages, Facebook landing pages are moving away. They are there but no more the landing tabs as earlier. And all these can be seen/ experienced under this top portion. It can contain up to 12 Apps. So, if you had your YouTube tab earlier as your landing tab, it is no more the same; but it can be found under that top portion as an app. You can change the order of appearance of the apps under that tab as per your choice. A. Pinned Post: Now promoting an offer or a new release to get a larger impact is easier with the introduction of ‘Pin It to the Top’ featured option. You can pin a post of your choice as an anchor on top. B. Star & Hide: Important stories/updates can be highlighted with the star icon present in each of the post you publish on the page. C. Larger Stories: Photos and videos in posts are larger than earlier. D. Milestones: Utilize the ‘Milestone’ to showcase your important achievements and even the date your brand came into being. E. Change the Date: If somehow you wanted to change the date of a published post, now you can. For the rest of the options like settings, banning users from your page, inviting friends, creating ad directly from the page etc. can be found under the Admin Panel on the top. Your likes from your brand page and what others say about your page on Facebook appears on the right top, just below the friends counter. And you have the power to customize the posts to appear on that portion as per your choice by using the options ‘highlighted on page’, ‘allowed on page’, ‘hidden from page’, ‘delete or repost/mark as spam’. 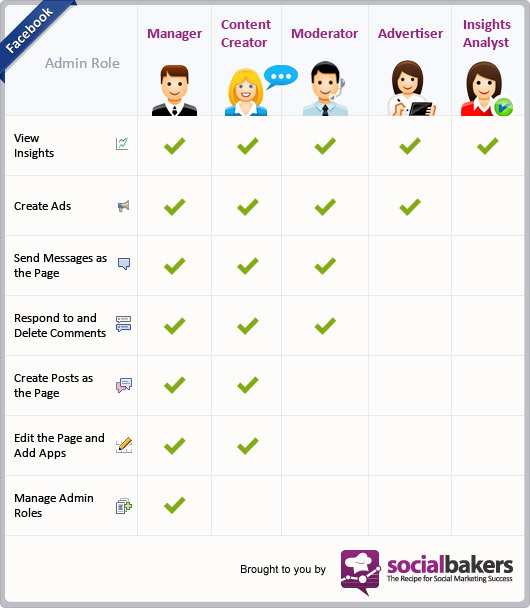 Recently Facebook has introduced the new set of admin roles defining specific roles based on differentiation of roles & duties. Now you can live on Facebook without the fear of your agency deleting or altering the page. 5. 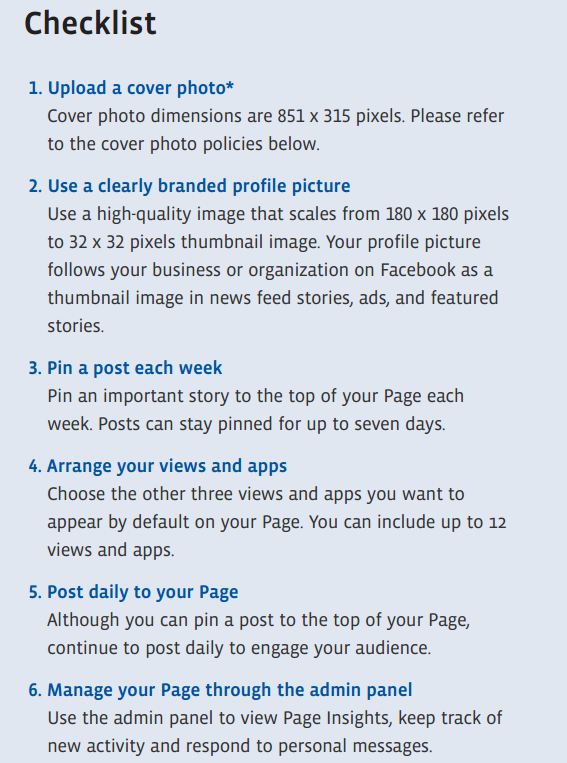 Checklist: Here’s a check-list from Facebook to get best out of the latest changes in a Facebook pages. There is one more tool you should take control of, and it is the page messaging feature. Thanks, this is helpful information, although, I'd expect additional changes to come soon. Yes, that (change) is omething we can surely expect from FB very often. Have you checked out the changes to the Ad Platform very recently?